I love simple, easy to use and easy to understand tools that communicate and educate individuals on the challenges we face in a living a low carbon life. This handy tool from the Department of Energy and Climate Change in the UK, lets you play around with your own solution to creating a balanced 80% decarbonised England. 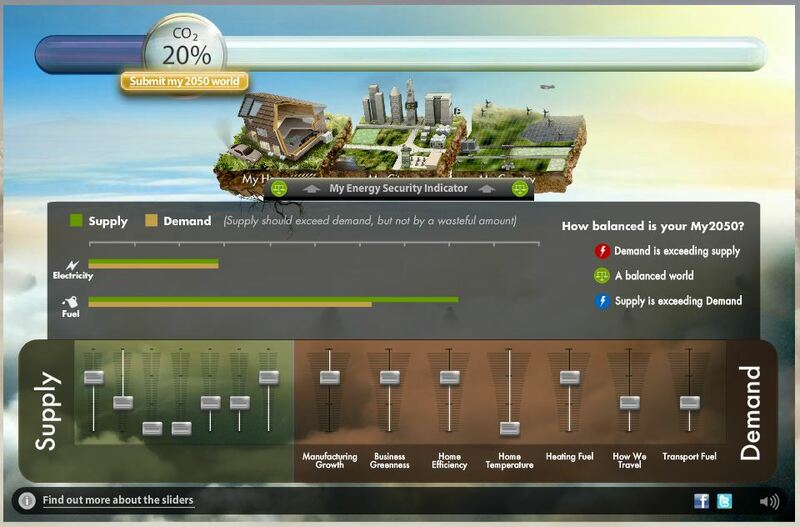 Based on the need to reduce our carbon emission by 80% by 2050, the handy tool “My 2050” allows you to adjust the amount of energy supply we need through conservation measures, as well as adjusting the fuel source to meet the demand. It’s a great tool. Would be great to see one for Australia, and maybe include the costs as well. Getting an understand of how we might pay for another 1800 3MW wind turbines could be good. I had a play around and came up with a mix of biofuels and oil for liquid fuels, no nuclear and lots and lots of wind turbines. Oh and making people wear jumpers in the winter. 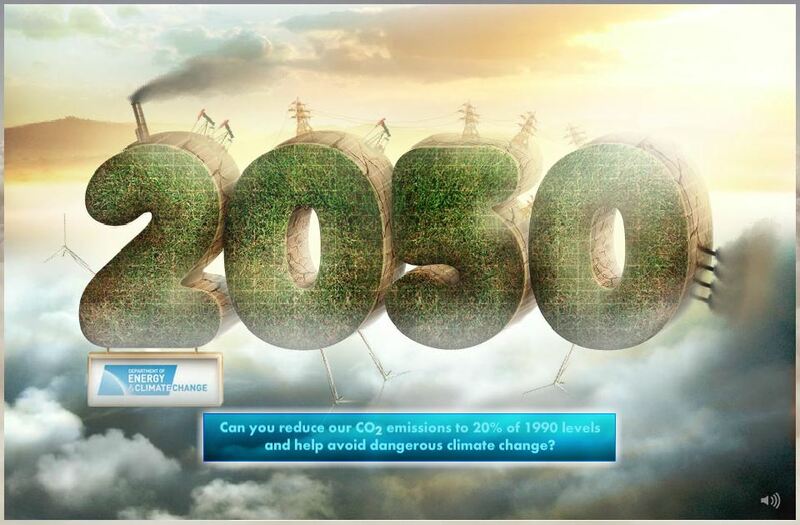 So what would Your 2050 be?